Cape Coral, offers residents many benefits: many warm, sunny days through out the year, numerous beaches to visit and many more outdoor activities. With the endless outdoor activities to enjoy, the last thing someone wants is to feel like they need to hide and cover their skin. 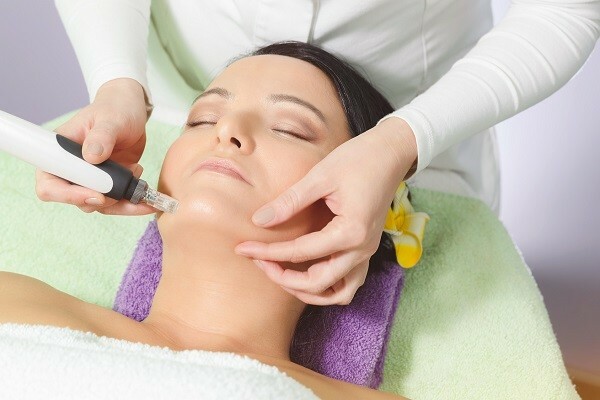 If you are tired of worrying about acne scars or looking for the latest anti-aging skin care products, then SkinPen® microneedling treatments are your solution! SkinPen® microneedling procedures are beneficial to assist in reducing the signs of aging, combatting the appearance of acne scars, as well as rejuvenate aging skin. SkinPen® microneedling treatments require minimal downtime and have little to no discomfort unlike other treatment options. At Dermatology Solutions, our medical professionals are here to assist you in finding the perfect solution to achieve the results you are looking for. With our advanced technology and gentle touch we are able to perform SkinPen® Microneedling treatments to even the most delicate skin, such as around your eyes and lips.